TN MRB Recruitment 2019 - Below are various recruitment notifications published by Tamil Nadu, Medical Services Recruitment Board (TN MRB) / www.mrb.tn.gov.in. As of now, we don't have any active recruitment notification by TN MRB featured here. We may update as soon as the organization announces a new job notification. If you are looking for any information related to previously organized recruitment drives by TN MRB, you can browse through previous job notifications mentioned below and get the new updates or information you are looking for. TN MRB Recruitment 2019 - Apply Online for 353 Pharmacist Posts in Tamil Nadu Medical Subordinate Service, Tamil Nadu on Temporary Basis. Online Applications are invited by Tamil Nadu, Medical Services Recruitment Board (TN MRB) from 01 Mar 2019 to 21 Mar 2019 for 38 vacancies. TN MRB Recruitment 2019 - Apply Online for 50 Prosthetic Craftsman Posts in Tamil Nadu Medical Subordinate Service, Tamil Nadu on Direct Recruitment. Online Applications are invited by Tamil Nadu, Medical Services Recruitment Board (TN MRB) from 06 Mar 2019 to 23 Mar 2019 for 50 vacancies. TN MRB Recruitment 2019 - Apply Online for 34 Medical Physicist Posts in TN MRB, Chennai, Tamil Nadu on Temporary Basis. Online Applications are invited by Tamil Nadu, Medical Services Recruitment Board (TN MRB) from 06 Mar 2019 to 26 Mar 2019 for 34 vacancies. TN MRB Recruitment 2019 - Apply Online for Physiotherapist Grade II Post - ST Shortfall Vacancies in TN MRB, Madras, Tamil Nadu on Temporary Basis. Online Applications are invited by Tamil Nadu, Medical Services Recruitment Board (TN MRB) from 20 Feb 2019 to 12 Mar 2019 for 1 vacancy. TN MRB Recruitment 2019 - Apply Online for 44 Nurses Posts - SC & ST Shortfall Vacancies in TN MRB, Tamil Nadu on Contract Basis. Online Applications are invited by Tamil Nadu, Medical Services Recruitment Board (TN MRB) from 20 Feb 2019 to 12 Mar 2019 for 44 vacancies. 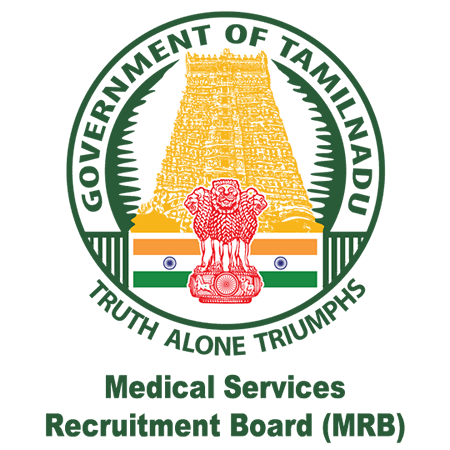 TN MRB Recruitment 2019 - Apply Online for Assistant Surgeon Posts (General) - ST Shortfall Vacancies in Tamil Nadu Medical Service, Tamil Nadu on a Temporary Basis. Online Applications are invited by Tamil Nadu, Medical Services Recruitment Board (TN MRB) from 20 Feb 2019 to 12 Mar 2019 for 21 vacancies. TN MRB Recruitment 2019 -Apply Online for Dental Hygienist Post in TN MRB, Chennai, Maharashtra on Temporary Basis. Online Applications are invited by Tamil Nadu, Medical Services Recruitment Board (TN MRB) from 15 Feb 2019 to 07 Mar 2019 for 1 vacancy. TN MRB Recruitment 2019 - Apply Online for Prosthetic Craftsman Post in TN MRB, Chennai, Maharashtra on Temporary Basis. Online Applications are invited by Tamil Nadu, Medical Services Recruitment Board (TN MRB) from 15 Feb 2019 to 07 Mar 2019 for 1 vacancy.